Hello Lovelies, it's Theresa here today with a fun Pocket Life Challenge for you! I absolutely love how easy it is to document our family members using pocket pages, and the March Life Crafted kit has everything you need to get those pages completed. Here is my layout I created for the month of October in my 2018 album. 1. Use alphas to create a working title or journaling on a card. The white puffy stickers included in the kit are perfect for this! 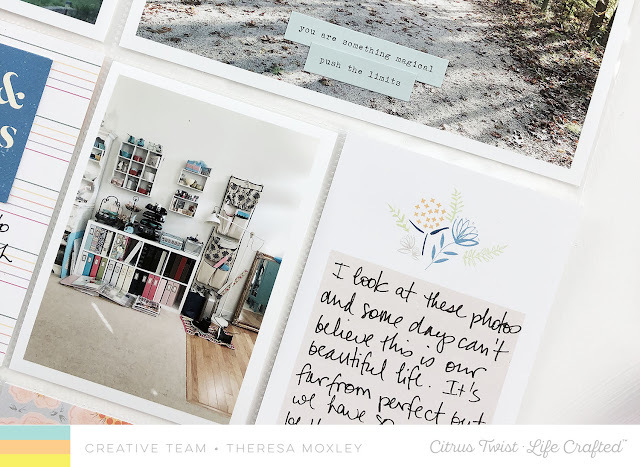 I used these alphas for the working title with my photo, which works perfectly for journaling as well. 2. 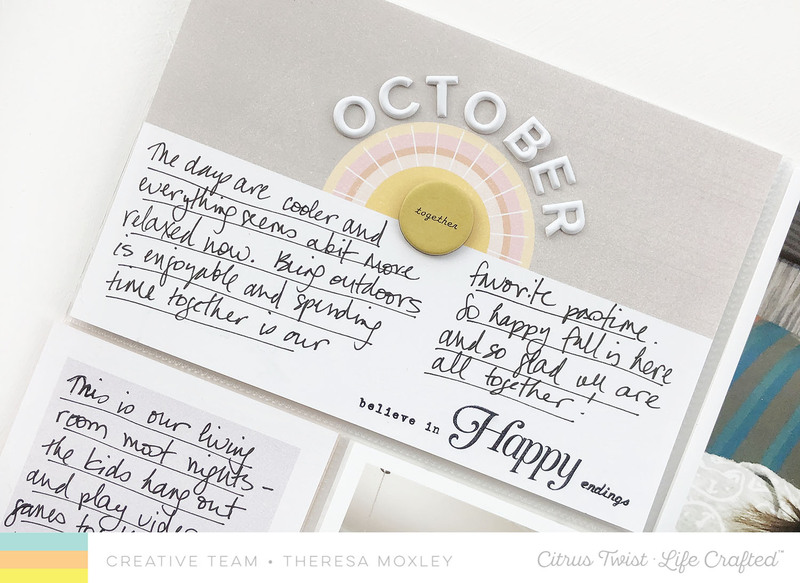 Use different stamp sets on your layout together and see what sentences or sentiments you can create. 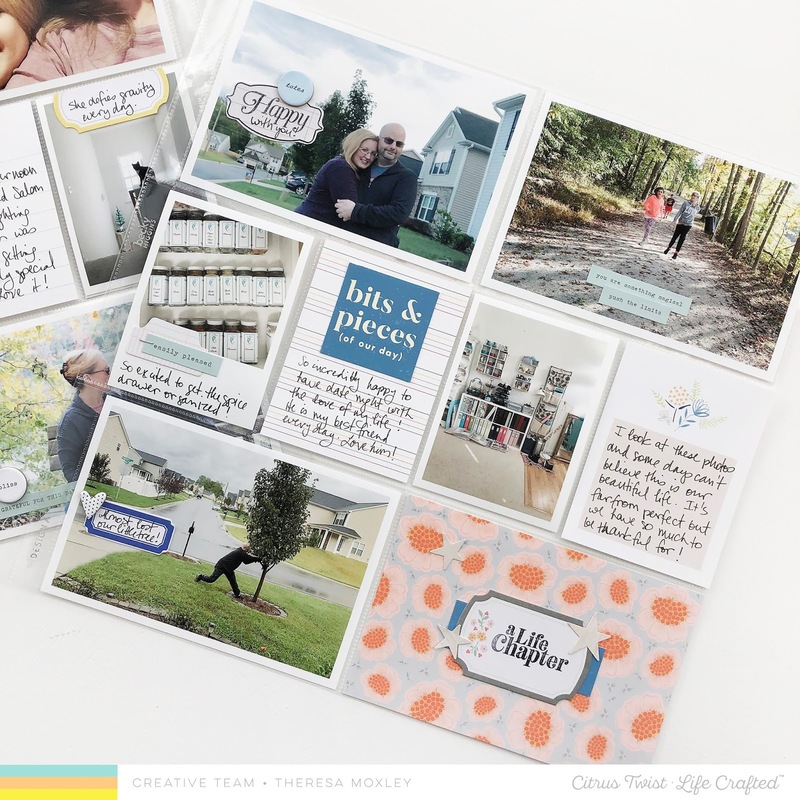 The March kit stamp set works beautiful with the This Is Life stamp set this month! 3. 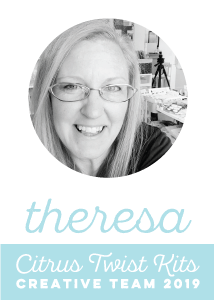 Repeat an element across the page, whether it is an element, a shape, a label, or other. 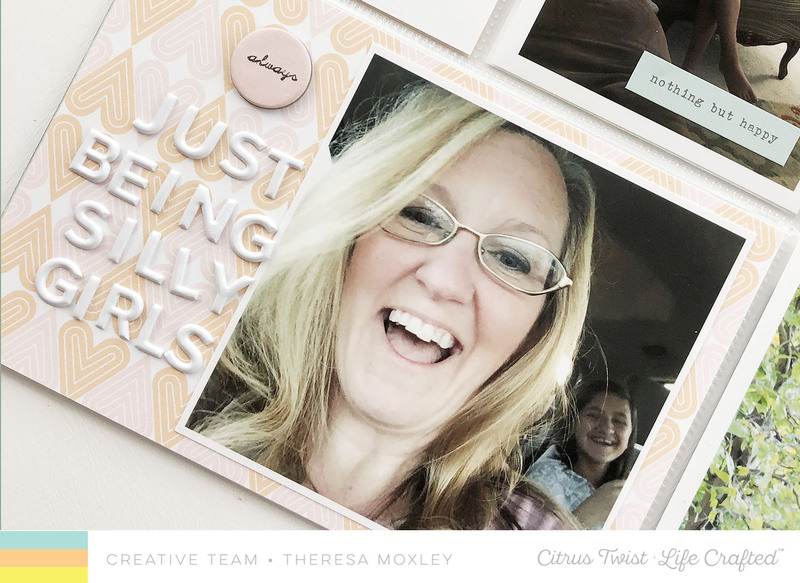 I have repeated the circle chipboard in several places on my layout, which not only adds a bit of dimension to the layout, but it also leads your eye around the page. You also may notice I have used the word stickers in several different places around the layout too. 4. Cut up journal cards to create layering elements. 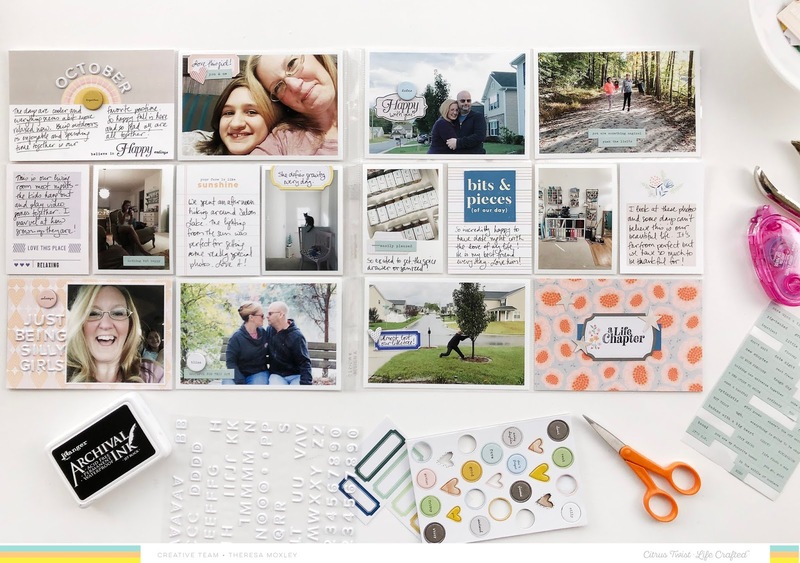 I really love the sentiment "bits & pieces (of our day)" but felt like the blue would be a bit overpowering for the color palette on my layout. So I cut out the sentiment itself and layered it onto the strip journal card. Don't forget to look at your journal cards for opportunities to cut them up and create your own embellishments. Notice how the pop of blue makes a nice contrast on this layout compared to the muted colors of the layout. The key to making this work was to be sure to use your contrasting color somewhere else on the layout, as I did on my filler card. I used a scrap of the blue to layer along with the stamped label and the stars. 5. 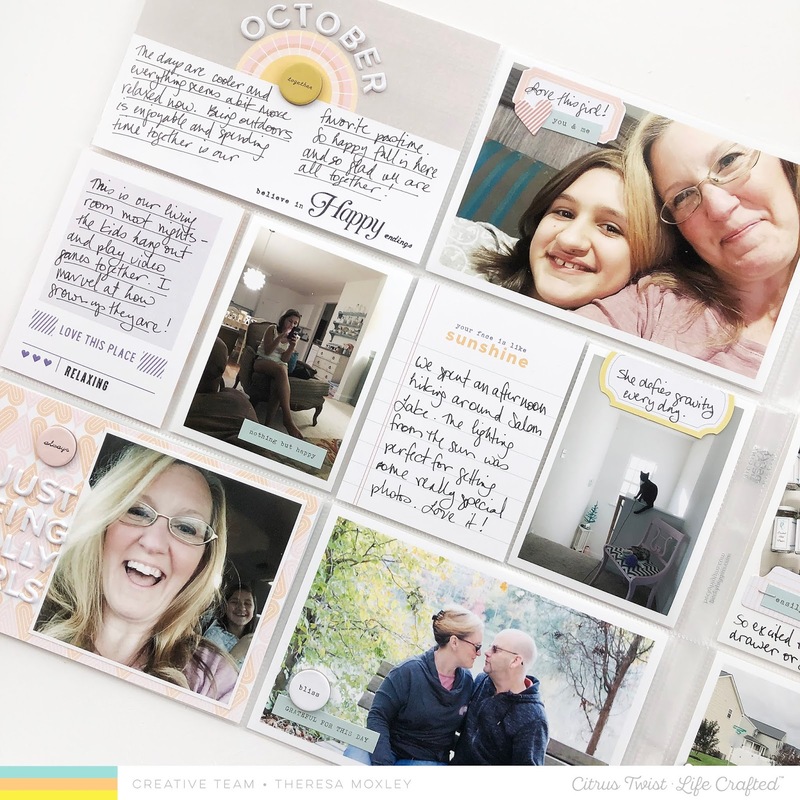 Leave one photo or journal card (or both!) unembellished. It can be really tempting to want to put all the things on all the pockets, but it can be really freeing to leave something just as it is. Of course, this allows that element, whether it's a photo or a journal card, to stand all on its own, just as it is. In the photo above of my studio, you can see it needed no journaling or embellishment, just the photo itself that captures a moment in time. There is incredible beauty in that! 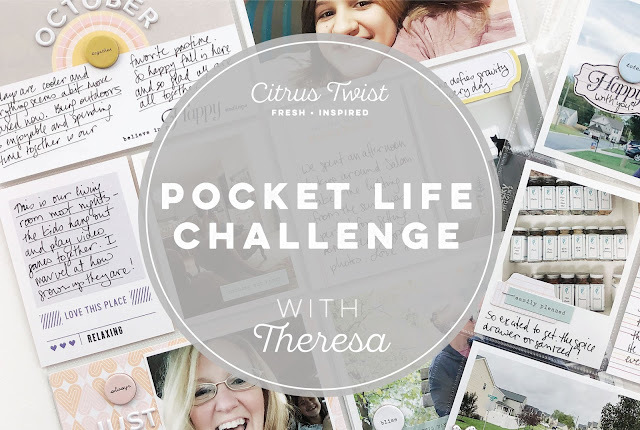 I hope you are inspired to try some of these techniques in your pocket pages today! If you are interested, you can view my entire process in the video below. As always, be sure to tag us when you create from this challenge and share online! We would love to see. Thank you for participating, see you again soon! Product Spotlight & a Flip Album with Amanda!